At the end of the sonic highway, David Eric Grohl found that the rock’n’roll spirit he’s spent the whole decade chasing was an era, not a place. After the Foo Fighters recorded 2011’s Wasting Light in his garage to invoke the ghost of his spotty punk teens, they set out across America making 2014’s Sonic Highways in some of the most storied and historic studios in the country, hoping rock magic was to be found clogging up Nashville microphones or ingrained into the antique mixing desk dials of Chicago, Seattle or NYC. Rock’n’roll wasn’t a tourist destination, it was the records that made you. It was Sgt Pepper and the White Album, The Dark Side Of The Moon and Paranoid; it was Led Zeppelin IV, Raw Power, Ace Of Spades and High Voltage. It was, by and large, the dark and magical festering pot of 1967-73, and for the Foos’ ninth album it would be here that Grohl and co.would mine sonic concrete and melodic gold. Bizarrely bringing in Adele and Sia producer Greg Kurstin (of indie poppers The Bird And The Bee), the mission statement for Concrete And Gold was “where hard rock extremes and pop sensibilities collide [like] Motörhead’s version of Sgt Pepper”. The finished product is actually more like AC/DC having a crack at making their White Album, in that it’s as varied, expansive and crammed with drug-crusted invention as a band embedded in blues and hard rock can get. 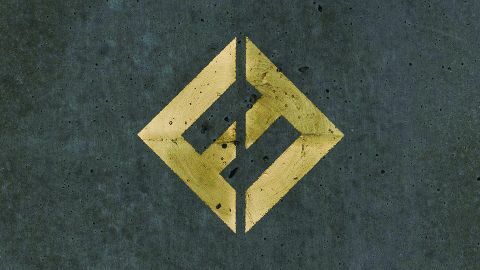 For a record relatively light on pop-rock stadium slayers, it’s also easily the Foos’ most elemental album yet. Its trick is to frack the grungier seam of that fervid age of hard rock invention, the records straddling the turn of the 70s that drove a pickaxe of drugs and feedback into the brain of flower power and sounded like they were made by men who’d worked out that the devil had all the best heroin. Some parts of Concrete And Gold are shameless in their late/post-Beatles tributism – Sunday Rain could be the cast of Hair covering a cynical Lennon tune like I Found Out or Dig A Pony, the gorgeous acoustic shuffle Happy Ever After (Zero Hour) is an homage to Blackbird, I Will, Mother Nature’s Son and Across The Universe so reverential that it’s even in mono for the first verse. And for one billion kudos points he gets Paul McCartney drumming on an as-yet-undisclosed track. Because, presumably, he can. Elsewhere, Concrete And Gold plays somewhat sillier – and more manipulative – buggers with its source material. Opener T-Shirt finds Grohl mimicking a gentle 60s Motown singer for the first 30 seconds, before 1973 Aerosmith invade the booth and ‘space harmonise’ the tune into the power ballad ether. The inevitable Zeppelin riffs merge with the inevitable Tommy power chords to create Make It Right, and there are some quite brilliant ‘what ifs’ here. what if Alice Cooper had made I Am The Walrus? You get the surprisingly enjoyable The Sky Is A Neighbourhood, an epic of orchestral anger and ominous squealing. What if Black Sabbath had ditched The Wizard and gotten heavily into Wizzard? That’ll be La Dee Da, a devil’s boogie. Sabbath wouldn’t have needed to ditch the apocalyptic war stuff though; Grohl keeps an album so deeply rooted in the 60s/70s crossover fresh by inserting contemporary guests such as The Kills’ Allison Mosshart and The Bird And Bee’s Inara George (plus a secret appearance by “probably the biggest pop star in the world” – our money’s on Paul Nuttall), and by theming the album around the “hope and desperation” of America’s current political calamity. “You get what you deserve,” he tells his fellow Americans on T-Shirt, even going on to sketch a typical Trump supporter driven into the arms of jingoism by hardship and fear on the pounding Arrows. Elsewhere the album traces Trump’s trajectory to all sorts of terrifying potential conclusions, taking in environmental dangers (The Sky Is A Neighbourhood, Dirty Water), poverty (Make It Right) and rising international conflict (La Dee Da). Grohl does emerge from the modern age with some glimmer of optimism and defiance, though. Come the title track finale – a sludge-rock go at Floyd’s Brain Damage/ Eclipse – he’s declaring ‘Our roots are stronger than you know/Up through the concrete we will grow’ over a great sky gig of gospel bombast that doesn’t quite have the melodic sparkle to live up to its Dark Side Of The Moon ambitions but certainly ties up the most cohesive consume-in-one-sitting Foo Fighters album in a decade. If Dave Grohl is an enduring icon of rocking through the hard times, we need him – and Concrete And Gold – now more than ever.